I'm nearly 25 years old and have never really been to a traditional concert; you know, purchasing tickets online, traveling however long to the venue, sitting in cushioned stadium seats or, depending on who you see or how much you spend, standing in the pit area near the stage. Possibly even staying a few days if it's a several day, multiple artist affair. 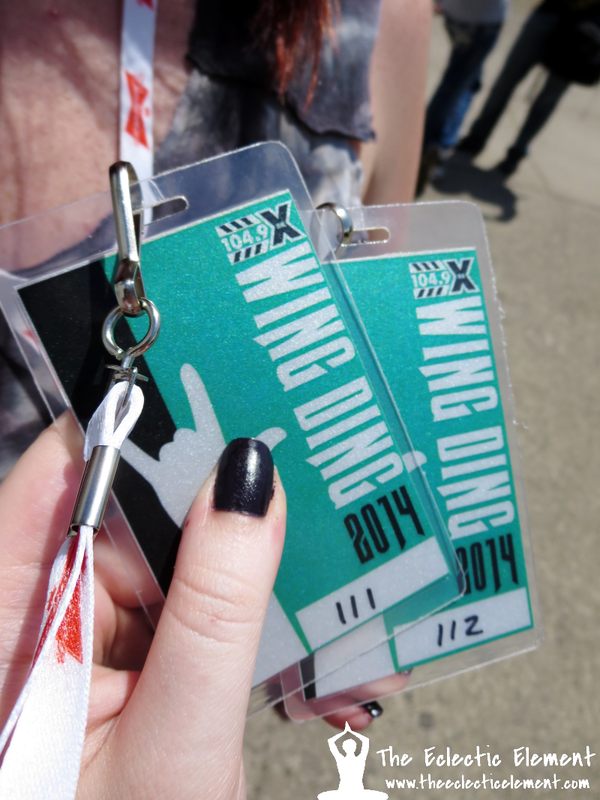 Of course there was this year's 2014 Wing Ding which IS technically speaking a concert event. The bands were really fun to listen to and converse with but I've been dying to see people like Florence and the Machine, Motion City Soundtrack, and Arctic Monkeys in concert for years now. Especially Florence and the Machine. She's my girl! Each person has their own tastes when it comes to musical artists, genres, and favorite songs but regardless, what it all comes down to is one thing: music is universally loved, respected, and acknowledged. 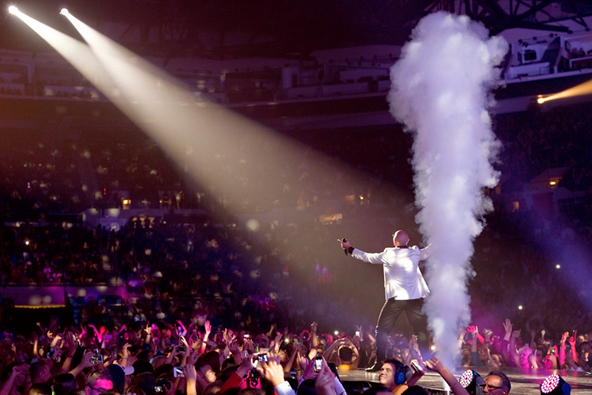 Thanks to Cricket Wireless, they're connecting their customers with that universal love of music by partnering with Pitbull and Enrique Iglesias to help fans create, experience, and share something to smile about during their Fall 2014 Tour! Most sponsors of an event like this do just that; sponsor it. Cricket Wireless wants to take it to a different level for their customers by not only just sponsoring the event but by totally enhancing the fan experience with some seriously awesome and innovative activations! The Cricket Stage, a 10x20 stage erected at select tour stops, is where fans can actually hop on stage and give their best "headliner" pose! You can share your 360 images via your social media channels thanks to the special "share kiosks" around the stage AND photos will be entered into a sweepstakes where a winner and 3 special guests will get a trip to the Miami Latin Grammy Street Party! If that wasn't a pretty unique experience already, participants of the Stage activation will also be lucky enough to receive Cricket ear buds. Selfie Stations encourage fans and concert goers to snap a quick selfie of yourself or you and friends while having fun at the concert! These pictures can also be shared via your social media channels. 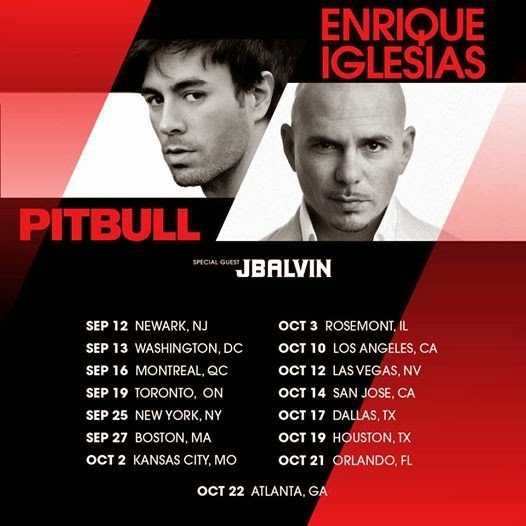 Ask Enrique-have the chance to win a trip to the Atlanta tour stop to meet Enrique himself and ask him whatever you want! Located at high-traffic spots within the activation venues, the Hologram Standee Billboards of Enrique and Pitbull will create some completely lifelike images of the musicians that make any concert goers time that much more memorable! This is exactly the kind of concert that I was talking about above! One that I would love to be able to participate in, especially with all those unique extras that have been thought up. The first and only concert I have ever been to was for Josh Groban - it's the only music I can really stand in a concert! I'm a music lover and really enjoy both performers! Love this awesome promotion by Cricket Wireless. Cricket is all over the place sponsoring events,but I think this tour has me the most excited. I'll have to check and see if a stop is coming near me, hopefully LA- I just love Enrique, and I'm overdue for a great concert. I can't believe i'm saying this, but I've never been to a concert of this magnitude before. It sounds fun, wish there was a location closer to me. I love going to concerts, so I love this! Also, I was just introduced to Florence and the Machine, it's good stuff! Whoa, what a concert. I bet that was awesome as ever! I've been to a few concerts but the last one was AC/DC and it was in the early 90's. Yep, it's been a long time. LOL. I've been hearing a lot about Cricket but never used their service. I liked that Jersey Shore song they did years ago. What a great opp you had! Sounds like you had a great time and experience. What a nice time. How fun!!! Loves like you had a blast. That's amazing! What an opportunity to see two great artists. I'm SO jealous. I am much older than you are and have never been to a concert. I bet you had a great time, it sounds like you did! How fun!! Looks like a great concert! This sounds like such a good time. I'm not really a fan of rap, but I LOVE Pitbull. He just has this way about him that I love. Super swagger. So weird that you haven't ever been to a traditional Concert. With Enrique and Pitbull, seems like you are starting at the top. Cricket knows how to organize good music! There is nothing better than live music! Looks like a blast! My son loves these performers. I know he would be very excited about this! This looks like such fun. Count me in.